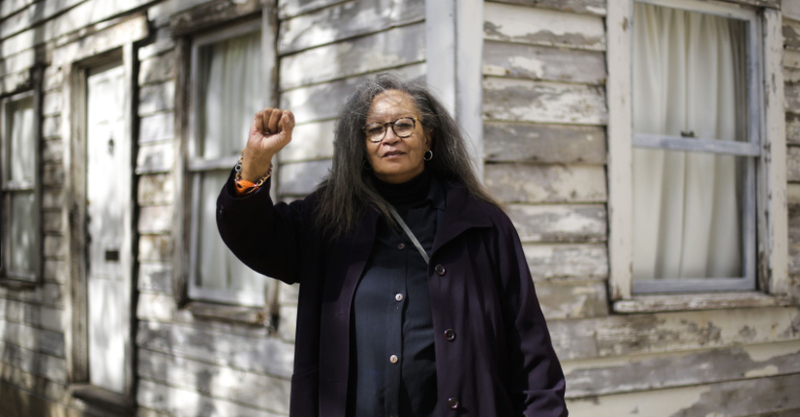 The small house where Parks took shelter in the late 1950s with her brother, his wife and their 13 children is one of thousands that were slated for demolition in Detroit’s inner city. Its story reflects not only on the fate of the activist and her family well over half a century ago but on the plight of African-Americans across the country who continue to be denied access to “the American dream” of home ownership. 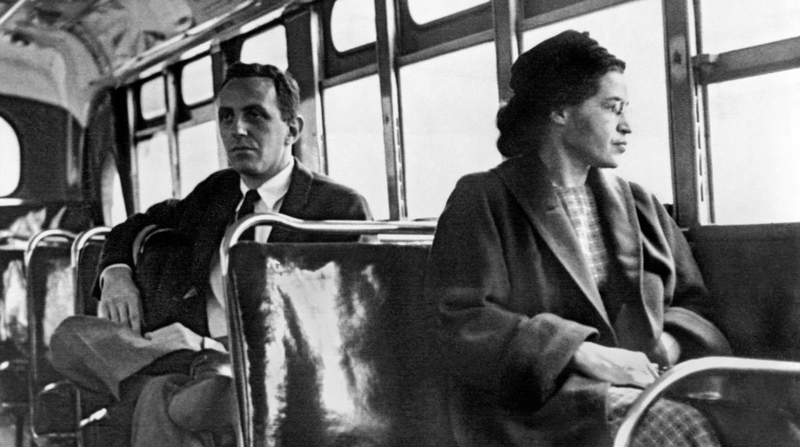 A central activist in the Civil Rights movement, Parks is often misrepresented as meek rather than strong-willed and fully committed to the cause of equal rights. 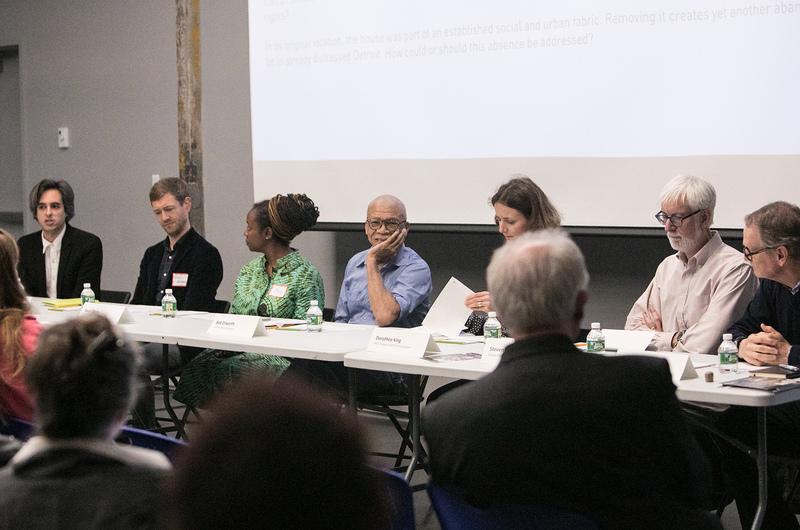 On Friday, May 18, RISD’s Interior Architecture department co-hosted a half-day symposium on the Rosa Parks House Project at the WaterFire Arts Center in Providence, where the house remains on view through June 2. The conversation began in 2016, when Parks’ niece Rhea McCauley bought the McCauley family home where Parks lived from 1957–59 for $500—thus saving it from demolition—and approached Berlin-based artist Ryan Mendoza about turning it into a memorial to her aunt. During the symposium—cohosted by WaterFire founder Barnaby Evans and Interior Architecture Department Head Liliane Wong—a number of alumni and faculty members as well as former RISD President Roger Mandle joined historians from Brown University and other institutions in examining the house from the perspectives of art, preservation and memory. The artist behind the intervention—who deconstructed the house, shipped it to his home in Berlin and reconstructed it as a public installation before sending it to Providence—was unable to attend for medical reasons but contributed a powerful recorded statement to get the conversation started. Panelists examined the house from the perspectives of art, preservation and memory. 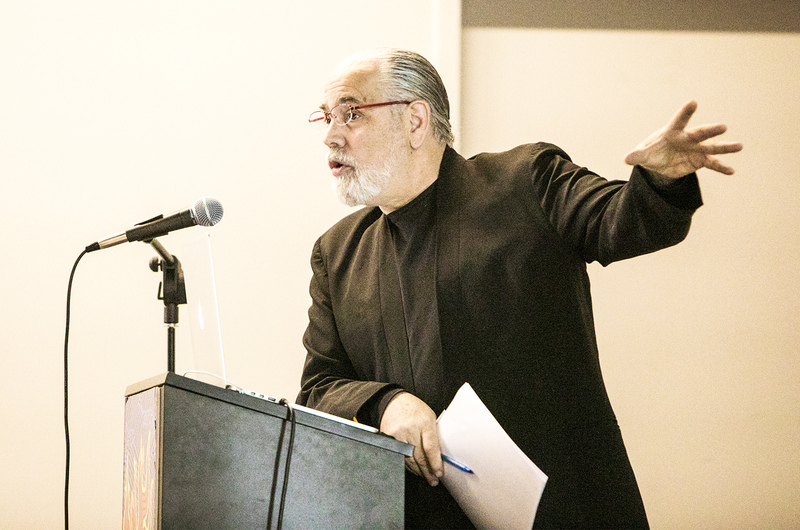 Co-host Barnaby Evans speaks at the May 18 symposium. In a public event this May, Interior Architecture grad students responded to the effects of climate change with radical plans for a seaside neighborhood in Newport, RI. During a visit to campus in mid April, poet and indigenous rights activist Allison Adelle Hedge Coke inspired students to address urgent social and environmental issues.